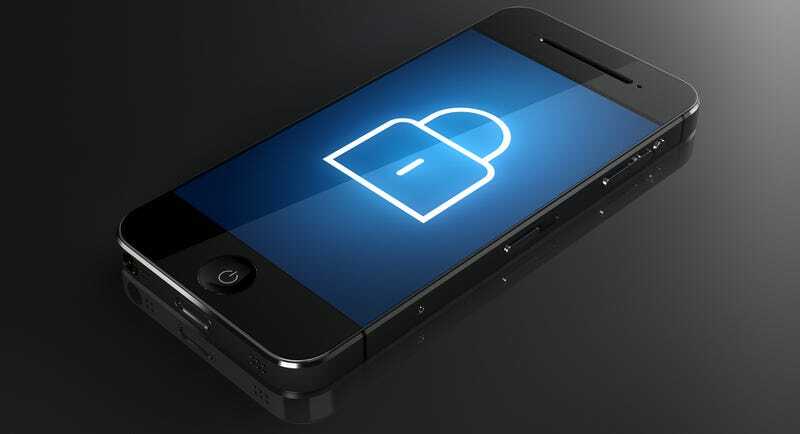 When Apple decided to encrypt its iPhones by default, the move was hailed as a major step forward for security. Except, of course, by the FBI, which is now saying that such encryption should be outlawed. For the safety of Americans, of course. The idea that all of a sudden the FBI is "going dark" and won't be able to investigate criminals anymore thanks to a tiny improvement of cell phone security is patently absurd. Even if the phone itself is protected by a passphrase that encrypts the device, the FBI can still go to telecom companies to get all the phone metadata they want. They can also still track anyone they choose by getting a cell phone's location information 24 hours a day, and of course they can still wiretap the calls themselves. Let's not forget that with a four digit passcode - like iPhones come with by default - can easily broken into by the FBI without anyone's help anyways. So a vast majority of this debate is already moot. The only thing that's possibly more disturbing than the FBI's desire to make all of us less safe is the utter lack of technological literacy apparent among members of the Appropriations Committee Comey is now trying to persuade. Take, for example, this clip from the hearing, in which Representative John Carter, chairman of the subcommittee on Homeland Security, rambles for three cringeworthy minutes on the supposed "dangers" of encryption. The worst part? He prefaces his comments by saying, point blank, "I don't know anything about this stuff." There you have it—a man in charge of doling out billions of dollars of cybersecurity money openly admits that he knows nothing about cybersecurity. The scene would be hilarious if its implications weren't so disturbing.